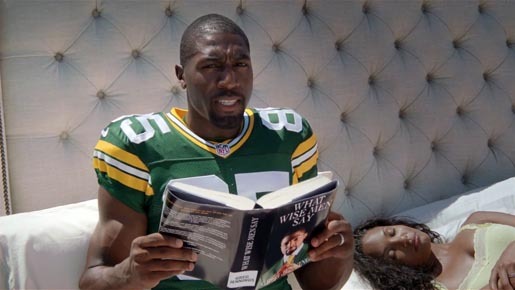 Procter & Gamble has introduced a new series of commercials in the Old Spice Believe in YourSmellf campaign, promoting the Champion product range with appearances by Green Bay Packers player Greg Jennings. The NFL player features in “Film”, “Jet Ski” and “Bed”. The Greg Jennings campaign was developed at Wieden+Kennedy Portland. Filming was shot by director Ulf Johansson via Smith and Jones Films with producer Philippa Smith.